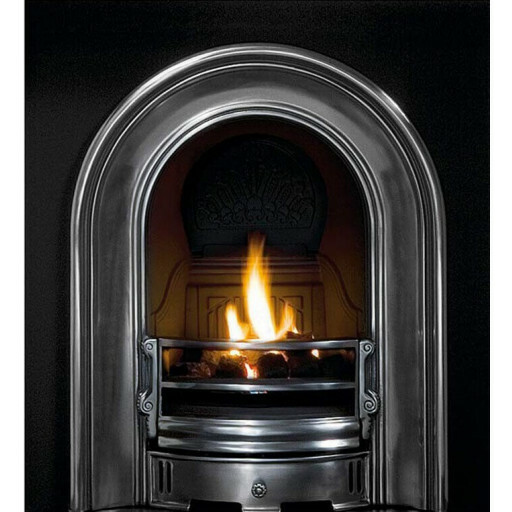 The coronet half polished cast iron fireplace insert is one of the finest examples of a traditional insert. 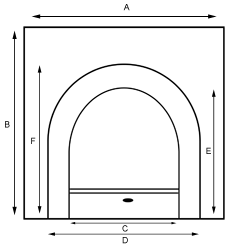 The insert is manufactured from solid cast iron, using only the highest quality materials available. The Coronet insert has an attractive half polished finish that is guaranteed to be a perfect complement to the décor of your home. The insert is a standard 37" by 37" square that is ideal for any room looking to elevate the appearance to the next level, whether it be the dining room or living area. Enjoy relaxing by the fire at night in the ambiance of this attractive insert. The Coronet half polished cast iron fireplace insert features a beautiful cast iron back and damper that adds to the overall appearance. The insert can be used safely with solid fuel, as well as with a decorative gas burner or electric insert fire.